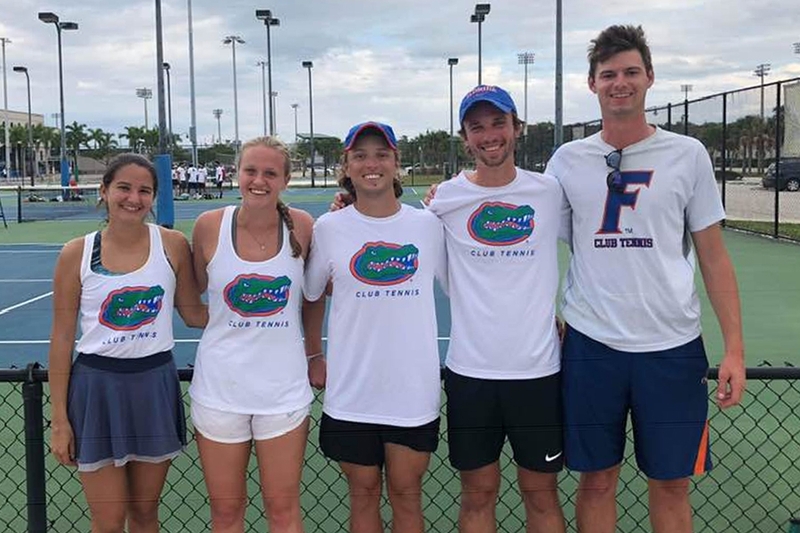 The University of Florida club tennis team won its second title of the month on the Florida “Tennis on Campus” circuit, over the weekend claiming the FGCU Dirty Bird Classic hosted by the Florida Gulf Coast University club tennis team on Nov. 17, 2018 in Ft. Myers, Fla. In the Gold Bracket final the UF-“A” team raised the championship trophy when the UF-“B” team was forced to default. 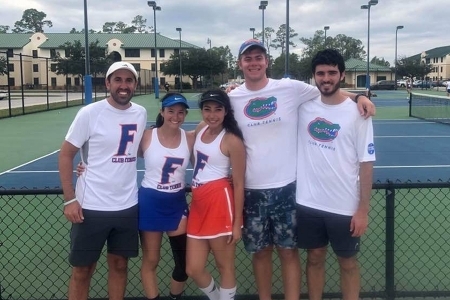 The UF-“A” team was comprised of Coley Hungate, Johann Rapp, Sarah Perkins, Kalika Shelar and Luke Blackman. The UF-“B” team’s roster was Luca del Omo, Paulo Sicangco, Gabrielle Herbet, Luka Illic, Regina Camberos and David Dolbaum. 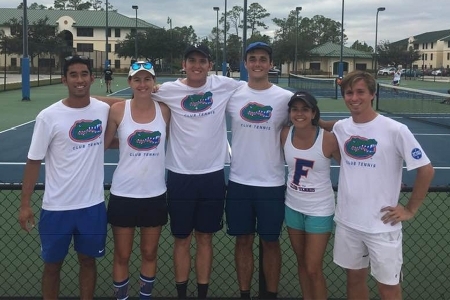 UF-“A” gained the final by stopping the University of South Florida-“A” squad in the semifinals, while the UF-“B” team defeated USF-“B” in the semis. It was UF’s second straight team victory, and second on the 2018-19 season, after beating the University of Miami in the final of their home UM Ibis Open event on Nov. 10. 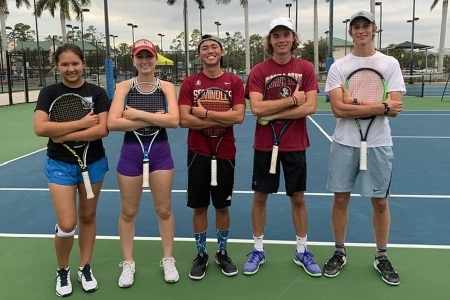 The USF-“C” team won the Silver Bracket, defeating UF-“C” in the final, and the University of Tampa-“B” squad won the Bronze Bracket, besting the Florida State University-“B” team in the championship match. 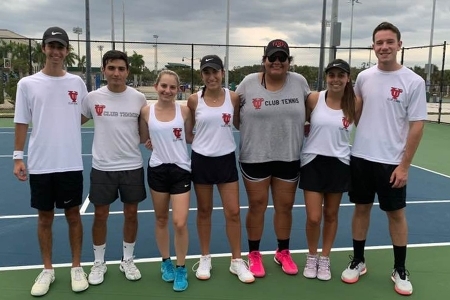 Others participating among the eight schools and 24 teams were Florida Gulf Coast University, University of Miami, University of Central Florida, and Nova Southeastern University. The FGCU Dirty Bird Classic was the final event of 2018, and the club circuit will resume in 2019 on Jan. 12 in Jacksonville with the UNF Swoop the Nest tournament. 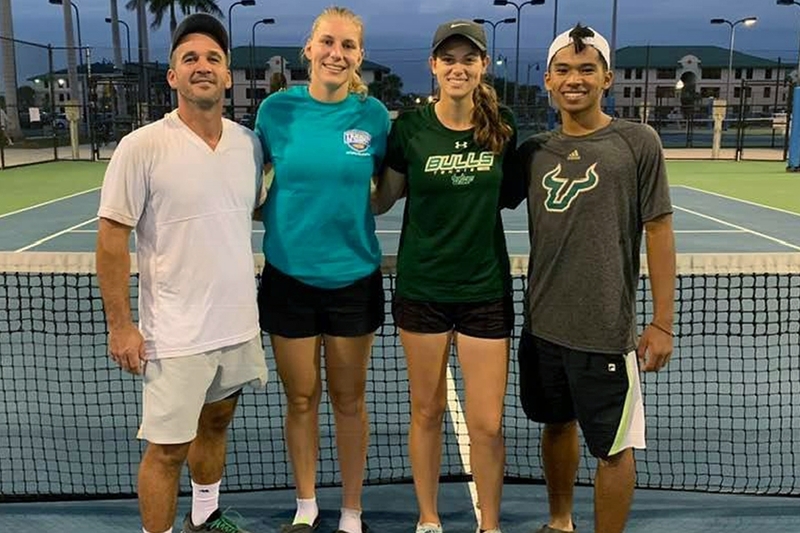 March 23, 2019 — Tennis on Campus Spring Invitational, Surprise, Ariz.